A transfer student at Tomobiki High School, Class 2-4. She is a girl, but because her father says the successor to the Hamachaya must be a man, he raises Ryuunosuke as a boy and insists that she is one. Because her eccentric father has raised her as a boy in order to run the Hamachaya, she behaves a lot like one and is quite violent. However, since she is in fact a girl, she hates being treated like a boy. She would love nothing more than to let her feminine side show, but her father interferes in every attempt she makes. Her first love was her elementary school teacher, whom she later realizes was a woman. 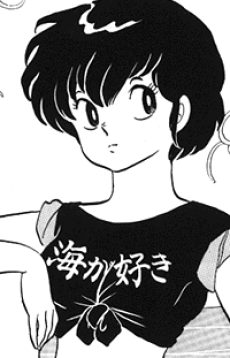 Only Ataru Moroboshi truly treats her like a woman, but she handles it the same way most girls handle Ataru: with a hard left hook, not that it ever stops him.